At the age of 14, Peter Yobo wasn’t just dreaming of becoming an advisor to world leaders — he was pretty sure he would be one. The only thing he wasn’t sure about was how to accomplish his lofty goals. 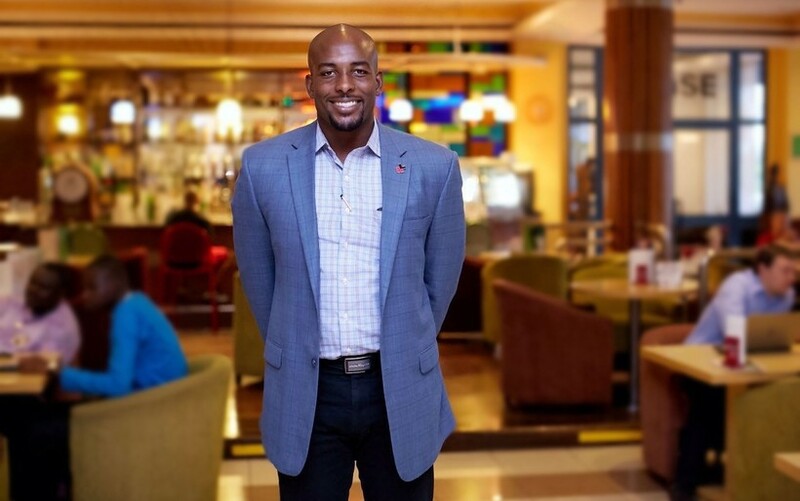 But today, Peter Yobo very proudly says, “I turn 30 in a month, and I have found me how.” He is now an ideation and innovation consultant who, after years of learning from the very best at PricewaterhouseCoopers, LLP, decided to step out on his own to build his dream. In founding TYG Consulting, his goal is to shed light on the inevitable shifts that are coming and to help prepare business owners and leaders for the future. Peter was born in New Brunswick, New Jersey and then moved to Ghana at the age of 4. On his return to the United States Peter co-founded iStandAbove, a non-profit organization for youth leadership. The ultimate mission of all the work he does is to help clients form new ideas and concepts that drive innovation through and in their people, processes, and technology. The importance of his work lies in the struggle of companies to connect with the Millennial generation, a generation that does not respond to the traditional methods of leadership and marketing. Millennials will make up 75 percent of the global workforce by 2025 and control $200 billion in annual buying power. Machines are human-made and are operated by men. It’s important to invest in machines and has the latest technology — but that isn’t enough. Businesses can’t be successful without people who come up with great ideas. Machines are good at aggregating work, but it’s individuals who instruct them to. Peter and his team reach through the noise and engage millennials by innovating product and service offerings, the work environment, and the relationship between companies and their Millennial audience, because the ability to create art and to be inspired is not something that machines tend to perform — that’s something that is natural to human beings. There are certain obstacles like ego clashing, attitude problems and questions like, why would the same approach affect a particular age group differently? But Peter and his colleagues have come up with big answers and ways out for any such hurdles. 1. Give them space: Give them space to try. Even if they get 10 hours in a week to think and innovate, go for it. 2. Resources: If the company can give them resources and opportunity to test and see what works and what doesn’t it should opt for that. 3. Policies and culture: Create policies and culture to create a focus on both the points mentioned above. If the company gives space and resources to explore, then it should form and implement suitable policies for proper execution as well. The culture should recognize and praise them so that they’re happier and are encouraged to do more. On the part of the organization in the context of collaboration, the goal has to be big. The people should feel that they are directed to and are chasing a grand vision. For instance, when there is a tsunami, there is a big goal of helping as many people as we can and saving the maximum number of lives. It will create a collaborative move of support and will direct them to achieve something. We are human beings, and our psychology says that if we work towards something that has a huge end spot, we feel more encouraged to move toward it. It should be mentioned that the mission that they’re on is applaudable — they’re not just doing something for the time being but are creating a revolution in the wave of work culture itself. Originally published at www.huffingtonpost.com on December 24, 2016.